We humans are a strange lot. When we are not busy deluding ourselves into thinking we’re going to live forever, we’re busy being anxious that we are going to die a horrible death, courtesy of a shark, plane crash or bolt of lightning. And if we somehow avoid those catastrophes, certainly the terrorists will get us. But the truth is much more mundane than that. Certainly terrifying movies like Jaws have contributed to our irrational fears about dying from a malevolent great white shark. The truth is that sharks don’t even like the taste of humans, and only 5 to 15 people worldwide die from shark attacks annually. Cows kill more people every year—20 in the U.S. alone—but there is no Cow Week on the Discovery Channel. The decision of cable news to fill its 24-hour news cycle with scenes of death and destruction doesn’t help either. There are only so many times you can view the World Trade Center collapsing before you become convinced that terrorism is a realistic threat to your existence (actual threat? 1 in 9.3 million). This is known as instructional fear acquisition. We become aware of a fearful situation through repeated viewing, and although we have not actually experienced it, we essentially teach ourselves to fear it. Statistically speaking, however, our anxieties are woefully misplaced. Here are 20 ways we may possibly die, and the odds that they will actually happen, from least to most likely (odds are rounded up or down for simplicity). Whenever the Fourth of July rolls around, people are quick to warn their children (and maybe we should include a few professional football players) about the dangers of playing around with fireworks. And that is probably a good idea, given that 10,000 or so people wind up in the ER from fireworks injury every year. But death? Not so much. Your chances of dying from a fireworks accident are 1 in 615,000. Gigantic waves are killers all right, and when they hit, there is no doubt they are potent killers. But they don't hit very often, and your chances of actually being in a tsunami and getting killed are remote, 1 in 500,000. There’s been lots of media in the past couple years about the potential catastrophe of an asteroid hitting the Earth. The scenario makes for good press and pretty good Bruce Willis flicks, but the actual odds of dying in an asteroid mashup are around 1 in 500,000. 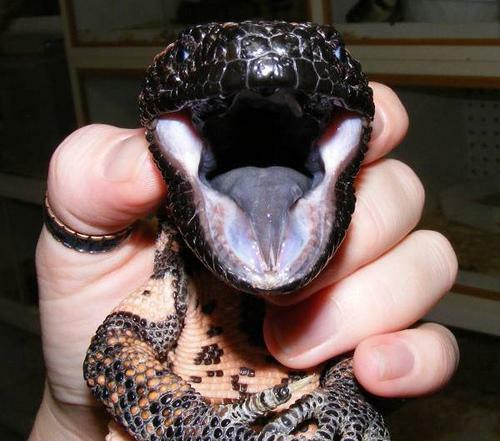 Few phobias are as widespread as the fear of snakes (about half of adults suffer from this fear), but the chances of dying from a snakebite, bee sting or other venomous bites (heck, throw in Gila monsters) are just 1 in 100,000. Stay out of open fields and avoid tall trees during a lightning storm: 250,000 people a year are struck, and 24,000 killed every year by lightning, but your individual chances of being struck down are minimal, 1 in 84,000. Your chances of being killed in one of these storms increase if you live in the U.S. or India, where tornadoes occur more frequently, but overall, you have a 1-in-60,000 chance of succumbing to a twister. Given global climate change and the rise in sea levels, flooding stands to become more commonplace. As it is, of the natural disasters listed, flooding is the most likely to kill you, with odds at 1 in 30,000. You’ve been told this before, but flying is much safer than getting behind the wheel of a car, especially if Sully is piloting the plane. Your odds of dying in a plane crash: 1 in 20,000. Many thousands of people drown while swimming every year. In fact, drowning is the third biggest cause of accidental death in the world. Your chances of joining this list are 1 in 8,900. Wear your helmet, because 1 in 4,700 people die riding their bicycle every year. One more time: Wear. Your. Helmet. Where there is smoke, there’s fire, but maybe that should be turned around, because it is smoke inhalation that accounts for the majority of fire-related deaths. Your odds of dying in a fire are 1 in 1,100. In countries that have strict gun control laws, your odds look pretty good. In the U.S. and other gun-unregulated nations, not so much. Overall your chances (especially people of color) are 1 in 325 of dying in a shooting. The older you get, the greater your chances of falling. It is the leading cause of injury-related death among the senior population, 1 in 250. A million people kill themselves every year. In the time it took to read this sentence, someone somewhere killed themselves. If you are depressed, talk to someone. Your odds of death at your own hands are 1 in 120. Forget plane crashes. Driving should be the white-knuckle experience. Fifty-thousand Americans die yearly in car crashes, and overall, your odds are 1 in 100. The things we spend our time worrying about don’t tend to kill us. But these brain events do. Strokes kill 1 in 23 people. Live long enough and you’ll probably get cancer. Although it may not be the cause of your death, it will be for 1 in 7. The winner, as far as diseases are concerned. One in 5 people worldwide will succumb to a heart attack or related heart disease. Even if you don’t die from any of the causes above, sadly you will still die. Our cells have a finite limit to how many times they can divide. When they reach their limit, called the Hayflick limit, they stop dividing, your body begins to fall apart and off you go. Currently we have an actual genetic limit of about 125 years, give or take. Unless science figures out a solution to Hayflick, it’s adios amigo. So enjoy the ride.